Egypt's President Abdel-Fattah El-Sisi announced on Wednesday a five-year tax exemption for small and medium-sized enterprises (SMEs) that register their business in the formal economy. 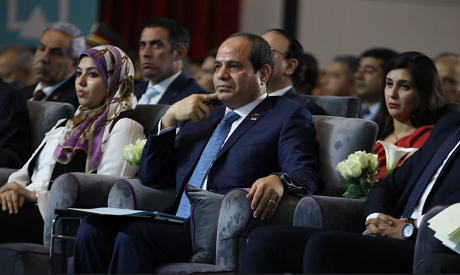 El-Sisi's made the comments during the fifth edition of the National Youth Forum in Cairo, which was attended by a number of ministers as well as Egyptian youth and public figures. "You have five years of tax exemption so that your businesses flourish and is able to join the formal economy," El-Sisi told investors. El-Sisi also highlighted during his speech that the state has no data on SMEs operating in the country; a fact that he described as unacceptable. The president stressed that the informal economy has helped many Egyptians sustain their basic needs. El-Sisi comments come nearly two years after he announced an initiative to provide EGP 200 billion in loans for SMEs through the central bank over four years. The Egyptian cabinet, headed by PM Sherif Ismail, has been discussing legislation focusing on smart tax incentives upon registration to the state's tax system. In 2016, the Central Bank of Egypt explained its plan to incentivise banks to participate in a “comprehensive programme” to help finance SMEs to create jobs and support the economy. The programme involves offering interest rates on loans for SMEs that do not exceed 5 percent. The SME programme aimed to finance 350,000 companies and create 4 million new job opportunities over a period of four years, according to the CBE.